The Holy Father has appointed as bishop of the Eparchy of Saint Nicholas in Chicago for the Ukrainians (United States of America) His Grace Venedykt (Aleksiychuk, M.S.U. ), transferring him from the titular see of Germaniciana and the office of auxiliary of the archieparchy of Lviv of the Ukrainians. Valery Aleksiychuk was born on 1 January 1968 in the village of Borshchivka, in the region of Rivne, Ukraine. He attended the major seminary of Drohobych and on 29 March 1992 he was ordained a priest. In 1993 he entered the Univ Holy Dormition Lavra of the Studite Fathers and on December 21, 1995 made his first vows, taking the monastic name Venedykt (Benedict). He obtained a doctorate in spiritual theology from the Catholic University of Lublin, Poland. 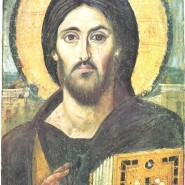 He exercised his ministry in the parish of Bystrytsia (deanary of Drohobych); in Belarus in Polock, and in the in parish of Vitebsk (1994-1996); and in Canada (1996-1999). He has served as Hegumen of the Lavra of Univ (2000 and re-elected in 2005); member of the commission of the Major Archbishop for Monasticism (2004); and administrator of the parish of St. Nicholas, Peremyshlany (2004). Since 2007 he was head of the secretariat of the Council of Monks of the Ukrainian Greek Catholic Church; president of the liturgical council and president of the major superiors of male religious institutes of the Ukrainian Greek Catholic Church. 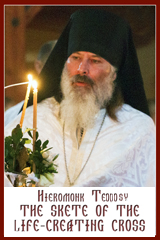 He was elected as auxiliary bishop of Lviv of the Ukrainians on August 3, 2010, and was consecrated September 5.